Lots of podcasts seem to be ending right now. At least 3 that I listen to have announced they are ending between now and the end of the year, and maybe a half dozen more have faded away during the year. Not us. I have too many more people and stories to bring to you. Seriously, you should see my list of people I’ve contacted or want to contact. I’ve got a ton on there! That said, Stories of the Magic is taking a break. I didn’t really want to do this now, but I have to, for one simple reason: My podcast equipment is literally falling apart. The headphones hurt to wear and the microphone quality is getting worse. I need to replace it before I can do any more Skype interviews. What you’re hearing now I’m recording on my phone because I can’t use the regular equipment even for this. So, Stories of the Magic will be on hiatus until the first of the year & will resume as soon as possible after that. I’ll be working on scheduling guests so I can start interviews as soon as I can in the new year. But I have to wait until after the holidays to replace my equipment. I know what mic I plan to get, and which headphones, and neither are terribly expensive—they’re just more than I have at the moment. Once I have those, I’ll be able to start back up, with better quality than ever before—the quality you and my guests deserve! I’m planning a couple of changes when the podcast returns. I asked a few episodes ago if you would be interested in me including a Disney tidbit in each episode. I got enough positive feedback on it that we’re going to give it a try. Also, I’l be adding Disney news to website—not the podcast, there are enough podcasts that include Disney news—just to the website. Tell your friends. Share your favorite episode. Get them listening to the shows currently available. 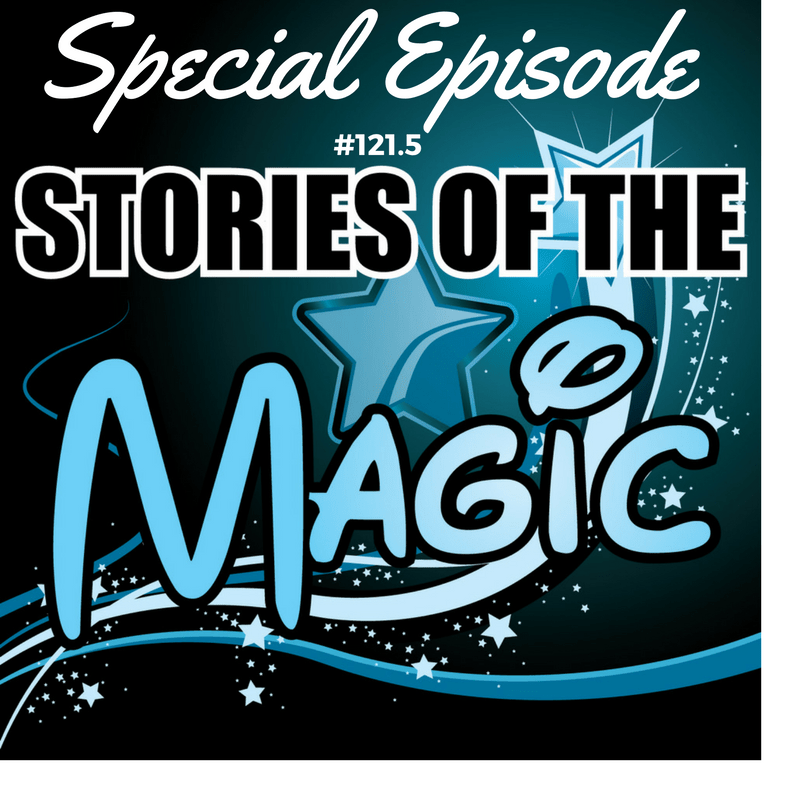 Join me for the Skywalking Through Neverland & Stories of the Magic podcast cruise. It’ll be a great vacation for you, an amazing cruise—Disney cruises always are—and it’s all made even better sailing with friends and fellow listeners! http://storiesofthemagic.com/support: I’ve got a list and links to several other options you can choose from—things from buying my books to making a straight donation to hiring me for some of the services I can provide. Of course, you don’t have to spend money to support the show (though it helps—iTunes reviews won’t buy a microphone), and I’ve got those on the Support page, too. Reviews, feedback, sharing your own stories, and more. There’s literally something on that page for every listener.